VX25 Enclosure Transition Made Easy | Rittal - The System. 2018-08-14. Rittal is supporting control and switchgear engineering as it transitions to Industry 4.0 and adopts its new VX25 large enclosure system. 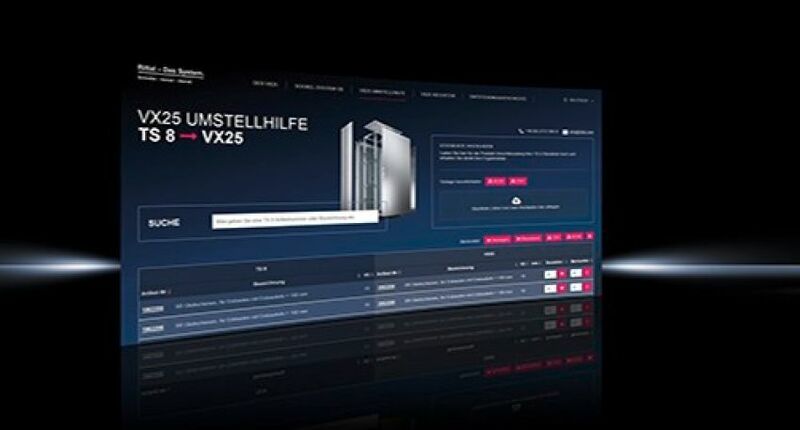 The new VX25 conversion assistant for parts lists (www.rittal.com/vx25conversionhelp) provides free data and an intelligent selector and configurator, simplifying the transition from the TS 8 enclosure system to the new VX25 large enclosure system.